The third option is usually the best if the blocking is just temporary. Exceptions are what used to be called blocking rules in the first version of GTM. To add them is easy enough. 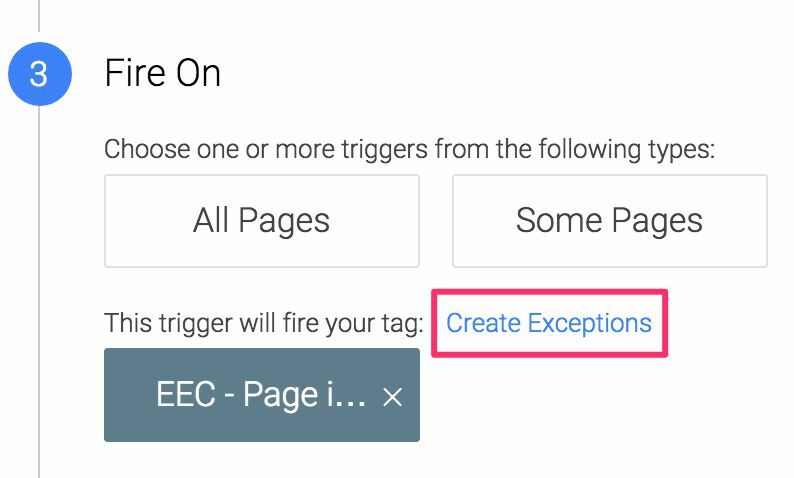 In the Fire On step of Tag creation, you can click Create Exceptions, and choose the Trigger that will block this Tag from firing. However, creating an Exception can lead to confusion, as you have to pick a Trigger type for the exception! But you just wanted to block a Tag from firing; what’s with this Trigger type nonsense?! When an event key is pushed into dataLayer, GTM goes through all Triggers attached to Tags, and looks for Triggers which respond to this Event. If such a Trigger is found, and if any other Trigger conditions pass, then the Tag can happily fire. Upon Page View (i.e. 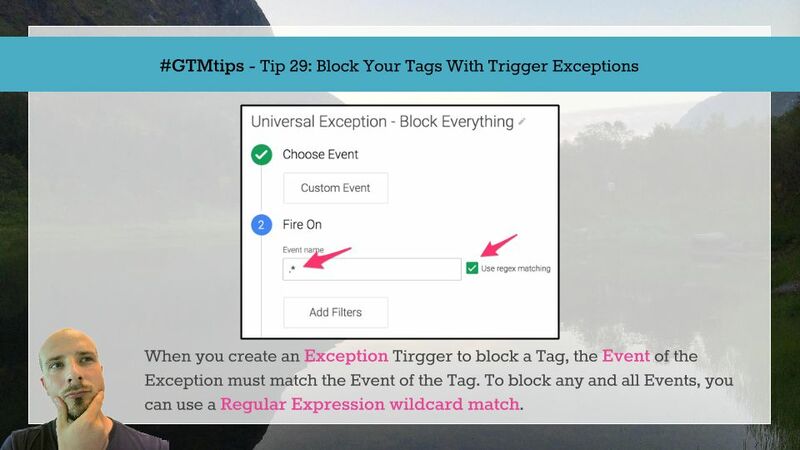 when the container snippet loads), GTM finds the Event name gtm.js (Page View Event) in the Exception Trigger and prevents the Tag from firing. Upon a Click Event, GTM finds the Event name gtm.click in the Exception Trigger and prevents the Tag from firing. So as you can see, an Exception always wins against the corresponding Trigger. 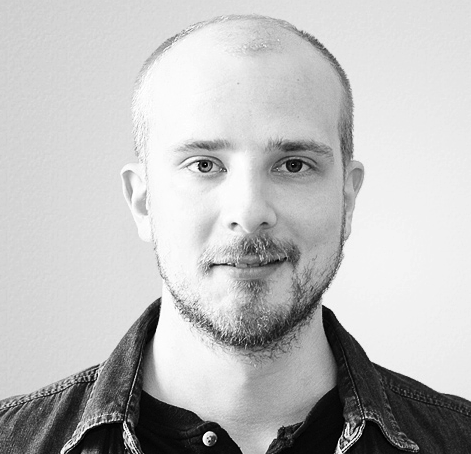 The Custom Event Trigger type combined with RegEx matching is a very powerful way of blocking multiple Events at once. If you want to create a comprehensive, universal, block-all Trigger Exception, all you need to do is set the Event name field to . * in the Exception Trigger. This means that whenever any Event is registered by GTM, the Exception will block every single one of these, as they are all covered by the wildcard pattern in the regular expression. Key takeaway here is this: the Exception Event must match the Trigger Event. For example, if you want to block a Click Trigger, you need to have a Click Trigger blocking it. Indeed, an easy way to block a single Trigger is to add the very same Trigger as the Exception!